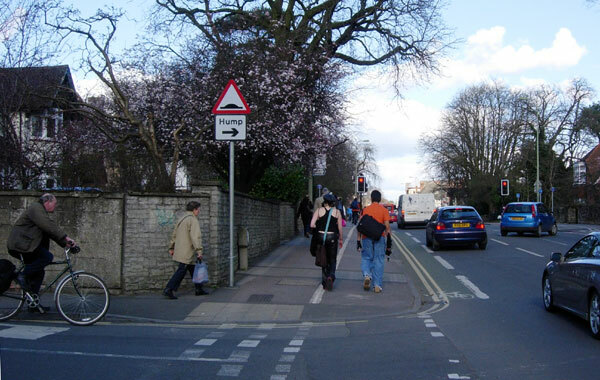 ​In 2005 James Bloice Smith of Headington Action gave a presentation at the North-East Area Committee about Headington’s cycle lanes. This highlighted both the inadequacy and downright uselessness of many of the existing cycle lanes, and helped motorists appreciate just how difficult life can be for cyclists. Headington’s cycle lanes often come to an abrupt end (sometimes in the middle of a bus queue); they can be ridiculously short; they are used for parking; and they can tip cyclists from the safety of a pavement cycle lane straight in front of a bus. See London Road North below and follow London Road South and Contra-Flow Cycle-Lanes for other examples of bad lane organization. Marston is no better. 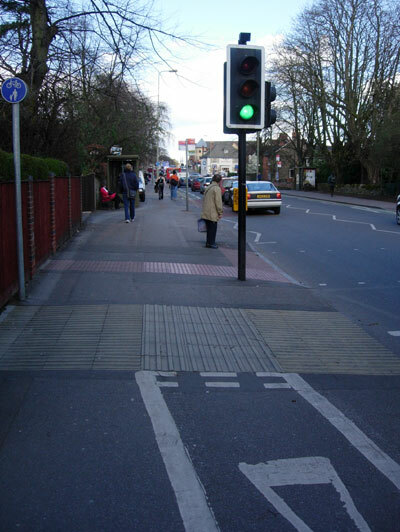 Pavement cycle lanes are unpopular with pedestrians, but they are disliked by most cyclists as well. Although the county council would like them to be one-way and have painted cycles on them to suggest the way that cyclists should ride, these pavement lanes are outside the scope of the Highway Code and nothing can be done to stop cyclists from cycling in both directions on them. The next picture shows the continuation of the twin lanes after the bus-stop. 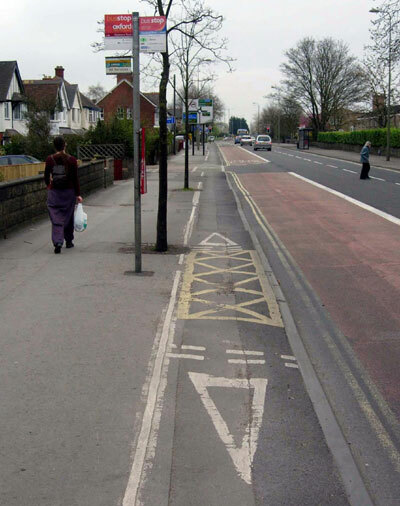 Note that this section of the cycle lane commences with a stop line, for the benefit of those cycling the wrong way. When you finally reach the Green Road roundabout, the signs show that you are allowed to cycle under the subways. This is a time-honoured concession originally granted to Cowley car-workers cycling from Barton. There are no markings, however, and cyclists and pedestrians have a dangerous free-for-all, with broken glass usually adding extra excitement.